Rock em, sock em, knock em out! 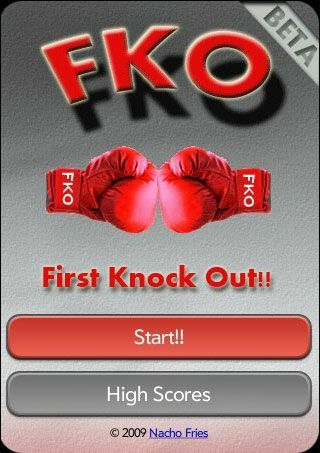 FKO - First Knock Out! It is your first time, but it will not be your last! Boxing, action, and, blood, sweat, and tears in the palm of your your hand, fight til the end, and fight again. Swipe left, swipe right, swipe up and swipe down, to knock out your opponent(s). Appreciate all feedback, suggestions, donations, and congratulations. First Knock out, second rock out!